CORSA meets at 6:30 every second Tuesday of the month at the Otterbein University Physics Department. You must park in the visitor parking at the Campus Center West Parking Lot or Cowan Hall Parking Lot only, see map below. You may want to arrive early or contact us before your first visit so we can provide you a visitor parking pass. After entering the building take the stairs or elevator to the 2nd floor. Room 204 is at the toward the west on the second floor. CORSA hosts a launch at Freedom Park in Sunbury, typically on the third Saturday each month, weather permitting. Bring your rocket and fly with us, or just stop by to watch! We’ll have experienced rocketeers on hand to answer questions, offer guidance, and demonstrate safe rocketry. We’ll supply the launch equipment, and might be able to offer motors for you to use. We can inspect your rocket, and help you prepare it for flight. If it needs repair, we can offer tips, and possibly even help repair it on the spot. We typically start flying at 11:00, and wrap up by about 2:00, but check our website for any schedule updates. We are also working to secure a High Power Rocketry (HPR) launch site. If you own or know of 1,500′ or more of open space, at least 5 miles from any airport, contact us. 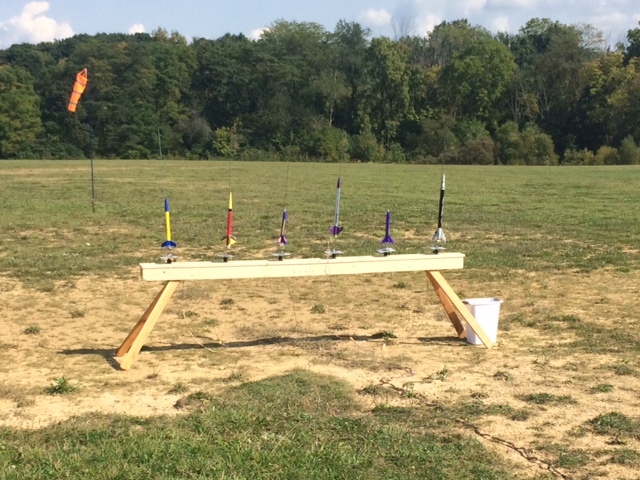 We’d like the opportunity to discuss how you can help support High Power Rocketry, and the liability insurance available at no cost to the landowner.